Let All-Pro of Kentucky help with your next remodeling project. Home Remodeling in Lexington, KY Area? Options to remodel your home are greater than ever before. 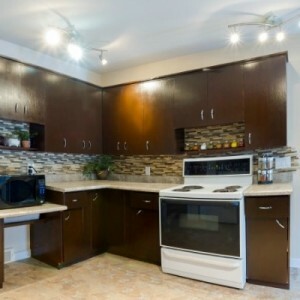 Perhaps you are thinking of a fresh new look for the layout of your remodeled kitchen. Or maybe some changes to update your bathroom. Perhaps you need to finish your basement to increase your living space. Or maybe you have a new rec room in mind. Whatever it is, All-Pro of Kentucky can take care of your needs. With 25 years of experience we are equipped to take on any project you may have. Contact us today to discuss your remodeling ideas with one of our remodeling consultants. We Specialize in Bathroom Remodeling. Please Click Here for a SPECIAL OFFER! Initial Consultation – First, we begin with a free consultation to discuss your needs, budget considerations, time-frame, and the best way to proceed. Feasibility Study – Second, we schedule a walk-through of your project to introduce you to our team that will be working at your home, as well as plan and coordinate construction. Planning – Third, we present you with our initial ideas and help you select materials that will meet your design and budget needs. We develop a complete construction plan and comprehensive contract. Construction – Fourth, we take steps to minimize disruption to you and your family. We coordinate the entire job with an onsite foreman who will supervise the work and answer any questions you might have. Completion – Fifth, once the project is complete, we walk through the site making note of refinements and final fixes. Clean-up – I know we said just 5 steps, but sixth, and finally … we do the clean up after ourselves, too!